Thousands of Chinese security forces were sent into ethnically Tibetan areas to ‘reestablish order’. Thousands of Chinese security forces have flooded into an ethnically Tibetan area of southwestern China following large protests that led to violent, sometimes deadly, clashes with the police. Amid anger and despair over Chinese rule, a series of recent self-immolations by Tibetans has spurred the unrest in the region ahead of the Tibetan New Year next month. In an effort to contain the situation, China has sent in reinforcements to try to impose order on the scenic Ganzi Tibetan Autonomous Prefecture in Sichuan Province. State media has also reported that outside rights groups and the exiled Tibetan spiritual leader, the Dalai Lama, are to blame for the troubles. The violence appears to be the worst between ethnic Tibetans and the Chinese authorities since 2008, when deadly unrest in the Tibetan capital, Lhasa, left at least 22 people dead. Four hours west of the Sichuan capital of Chengdu, on the craggy mountain roads leading to Ganzi, police officers stopped all cars trying to enter the region over the weekend, checking identification papers and turning away reporters and those with foreign passports. When asked why CNN reporters were not allowed to pass, a police officer said: "Don't you know what has happened there? It's not safe and you must leave." Chinese residents in a local village near the checkpoint told CNN that police forces arrived Thursday, two days earlier than expected because of the tense situation in Ganzi, which borders Tibet and is home to a population that is nearly 80% ethnically Tibetan. "We heard that Tibetans are attacking Han people, so the police are putting a stop to it," said one shop owner in the local village nearby. Chinese state media have reported that violence against Han Chinese people has escalated in the region, but rights groups say police have shot and killed several Tibetans and wounded many more. The first clashes took place Monday in Luhuo County, known as Drango by Tibetans. Citing witnesses, rights groups like Free Tibet and the International Campaign for Tibet say that thousands of Tibetans had marched on government offices before the police opened fire into the unarmed crowd, killing two or three protesters and injuring dozens. The reports, which could not be independently verified, contrasted with the account given by Xinhua, the Chinese state news agency, which said that protesters, some armed with knives, had damaged businesses and attacked the police. The violence left one protestor dead, Xinhua reported. It did not mention the use of guns by the authorities. Later in the week, multiple Tibetan rights groups reported that several more people were killed in other areas of Ganzi during protests on Tuesday and Thursday, prompting the authorities to increase security checkpoints and pour more forces into the region. The Chinese state media have not directly reported the protests later in the week. The tension is palpable beyond the mountainous roads of Ganzi. Dozens of police cars patrolled the Tibetan-populated Wuhou district in Chengdu over the past week. Tibetan women working in a restaurant in Wuhou, who refused to give their names for fear of reprisal, told CNN that cellphones in Ganzi were cut off and that they had no way of contacting their families since the crackdown began last week. The unrest come ahead of the Tibetan New Year on February 22 and after more than a dozen self-immolations by Tibetans in the past year. China has denounced the accounts of the violence by the rights groups as "ill-intentioned hype" by "overseas secessionist groups attempting to distort the truth and discredit the Chinese government." The state-backed Global Times, an English-language newspaper, published an editorial on Sunday that said, "The Dalai Lama is merely a manipulator representing the exile group." 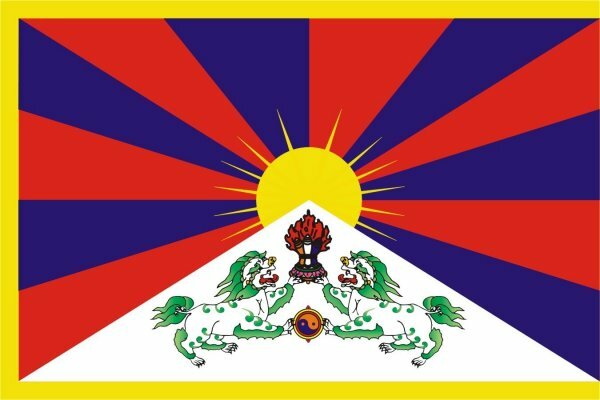 The Tibetan government-in-exile last week called for international intervention in the Tibetan areas and the U.S. government has expressed concern about the situation. Tibetans in Wuhou district in central Chengdu told CNN that they wished for more freedom and the return of the Dalai Lama, their spiritual leader who fled to India during an uprising against Chinese rule in 1959. "The Tibetans are protesting out of desperation; the self-immolations are happening because we can bear it no longer," said a waitress in the Wuhou restaurant. "One can only suffer so much oppression before being pushed to the edge."